Comments: Softcover large octavo, adhesive binding; 776 pp. 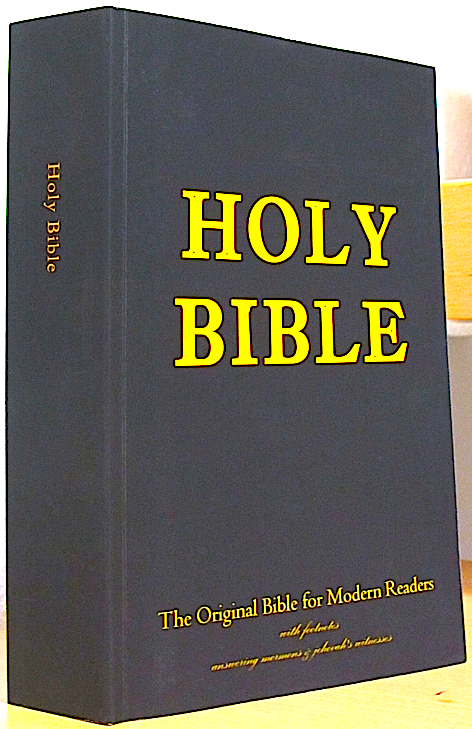 Scripture text in double column, answers to Jehova's Witnesses' and Mormons' beliefs in footnotes. Psalms and other poetic paragraphs in colometric print. No extras. 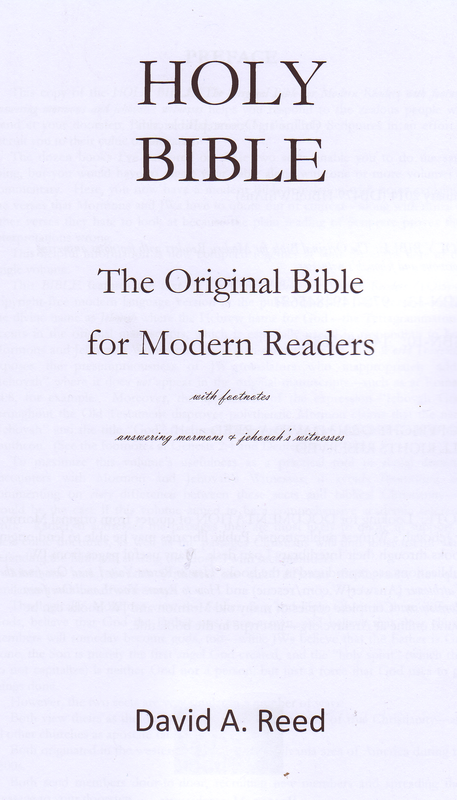 The textual basis of the New Testament is a so called "critical text", which for example the UBS NT Graece presents; nevertheless e. g. the longer ending of Mark ch. 16 and the story of the adulterous woman in John 7:53 - 8:11 are present with a remarking note that they're not found in some of the earliest surviving manuscripts. 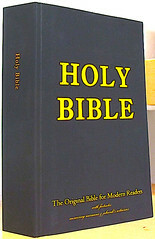 To read the Scripture text a magnifier or a looking glass is helpful; the comments are presented in normal print size.